John realized his calling as a winemaker when he began making wine as a hobby at the tender (and illegal) age of thirteen. He continued his education at U.C. Davis, interned at several Northern California wineries and specialized in sales for several wine wholesalers. At the age of 24, he became the nation’s youngest wine proprietor when he converted his garage to a bonded winery. In 1987, John moved operations to the historic Hallcrest Vineyard in the Santa Cruz Mountains, the previous site of Felton Empire Wines for 12 years, and re-established the Historic Hallcrest label. The estate vineyard was converted to sustainable agriculture in 1998 and became the first California coastal vineyard south of San Francisco to be certified organic by the CCOF. Recognizing the need and demand for commercially viable organic wines, John launched “The Organic Wine Works” wine company in 1989. Now in their 19th vintage, “The Organic Wine Works” has established a precedent with the first certified organic wines in the Nation. They were the first wines allowed to make the claim “organically grown and processed” on their label by the Bureau of Alcohol, Tobacco and Firearms (B.A.T.F.). 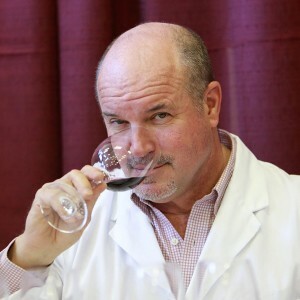 John has also served as a professional commercial wine judge since 1993, judging at the California State Fair, one of the nation’s top five commercial wine competitions. He has also served as a guest judge on wine panels for Connoisseurs Guide and Wine & Spirits Magazine. The first gold medal winning Organic, Sulfite Free wine to win Gold Medal and Best of Class against conventional wines in a blind tasting at a major US wine competition (2003 Los Angeles County Fair). Winning the Gold medal and Best Pinot Noir at the 2007, 2008 & 2009 Santa Cruz Mountains Competitions. John’s main objective and highest priority is quality assurance when producing any wine, whether using Organic or traditional production methods.